“Style is self-plagiarism,” goes the saying, and Hitchcock certainly repeated or developed ideas throughout his career, but the 1956 THE MAN WHO KNEW TOO MUCH is the only instance of his remaking one of his own films in its entirety. And he famously said that the first film was the work of a gifted amateur, the second of a professional. But some people prefer the original — the very quick delivery of plot points, snappy pace, and loose construction, with its greater room for eccentricity and gags, is indeed quote winning. And I will go so far as to say that John Michael Hayes’ script for the second TMWKTM does have a little fat: it takes a while to get going, and some exchanges between our lovely couple (James Stewart and Doris Day) feel like self-consciously “good dialogue” rather than anything which economically combines character expression with plot development — I’m thinking particularly of the scene where Jimmy and Doris muse about which of his patient’s ailing organs have paid for which parts of their Moroccan holiday. But asides from that, and the regrettable lack of Peter Lorre, and the fact that Christopher BIGGER THAN LIFE Olsen isn’t as winningly odd as child-woman Nova Pilbeam, I’m afraid the remake has it all over the original. It has Robert Burks on camera, Bernard Herrmann on score, two perfectly suited stars who are great together, production designer Henry Bumstead joining the team, and some excellent bit parts too. Daniel Gelin takes over ably from Pierre Fresnay as the suave French spy who kicks off the story. The principle villains, Bernard Miles and Brenda DeBanzie, start the film so spectacularly colourless that we never suspect them of any role in the plot, and then he becomes increasingly sinister as she becomes more sympathetic. Richard Wattis, a well-known comic face of the period, gets a tiny walk-on as a flustered underling and makes every second count. 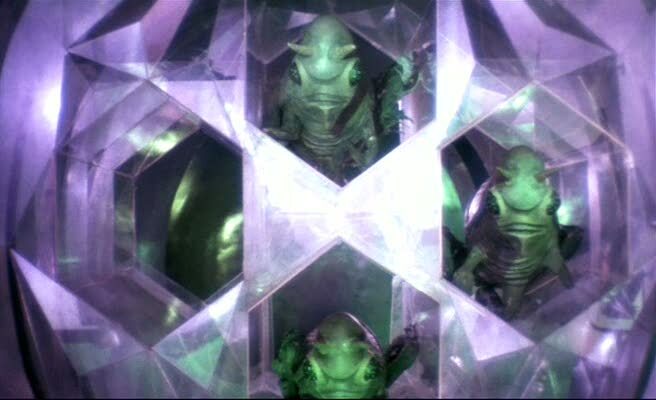 And the younger of the two taxidermists featured is played, brilliantly, by Richard Wordsworth, Caroon the mutating spaceman from the previous year’s Hammer hit, THE QUATERMASS XPERIMENT. All this and Carolyn Jones! Special mention needs to be made of Reggie Nalder as the assassin, Rien (good name!). Adding exotic creep factor where Miles and DeBanzie exude normality, the facially-scarred Austrian enters movie history with a few lines and an alarming smile. Like fellow Euro-creep Daniel Emilfork, Nalder is a good actor with a great face, someone who kept being discovered by moviemakers without acquiring full-on fame. See him in Argento’s THE BIRD WITH THE CRYSTAL PLUMAGE, THE MANCHURIAN CANDIDATE, and Salem’s Lot, always adding unbeatable production values with his alarmingly taut smile. He looks like at any moment his skin might split and let his skull get at you. And he knows it. Fortunately, there isn’t too much Reggie — an entertainment like this couldn’t stand it — and Hitchcock leavens the grim child-abduction plot with humour and intrigue. But he doesn’t fail to take the emotions seriously. Day’s big scene, where her husband dopes her before breaking the news that their child is gone, is a showstopper, fully justifying Hitch’s faith in his unorthodox casting choice (I’d love to have seen both Shirley MacLaine and Doris Day do more films for Hitch). And her utterly savage look when she re-encounters one of the kidnappers in Ambrose Chapel, London, is very impressive too. Having been to the Marrakech International Film Festival (a luxurious affair, I recommend it if you get the chance) I always enjoy seeing the city on the big screen, even if much of the action here conspicuously takes place before a rear-projection screen. 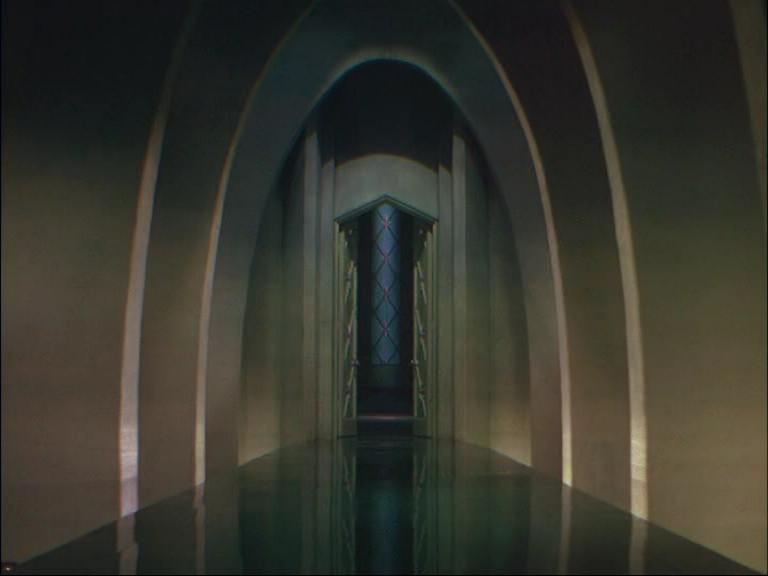 There are still some gorgeously vivid Technicolor ‘scapes to enjoy. When the makeup man couldn’t find brown makeup for Daniel Gelin to wear that would rub off on Stewart’s fingers, exposing white skin, so at Gelin’s own suggestion Stewart applied white paint to his fingertips which would then smear pale streaks across Gelin’s blacked-up face. At any rate, this second appearance of blackface in a Hitch film is less uncomfortable than the drummer man in YOUNG AND INNOCENT. One example of typically Hitchcockian cheek — when Daniel Gelin is chased through the streets by bad guys, he falls in blue paint, making him easy to pick out among the otherwise similarly dressed Arab populace. Then he’s stabbed by an assassin (Nalder?) and the police run right past him, after the knife-man. It seems slightly implausible that they’d disregard the man they’d apparently been chasing — and why were they after him anyway? The whole sequence seems rather hard for to make sense of in light of what we later learn. But it’s excellently staged. London! The gang of showbiz cronies crashing in on Stewart and Day (as the McKennas — I dig how Jimmy Stewart usually has a Scottish name in his Hitch perfs, cf Scottie Fergusson) seem a little overstretched, but are actually the set-up to one of the most delightful last-scene pay-offs in any Hitchcock movie. And the scattered references to real life celebs like music-hall and movie star Bud Flanagan are pleasing, reminding us of the world of the original TMWKTM. A slowly developing pleasure in this film is Bernard Herrmann’s score, which confines itself to non-melodic, vaguely eastern sounds in the Moroccan sequence, until Stewart gets the phone call announcing his son is a hostage, and then a familiarly Herrmannesque spiraling tinkle announces the start of the truly Hitchcockian scenario. And the music gets more and more archetypically Herrmann as we reach London — after THE TROUBLE WITH HARRY, which is an exception because it’s not a thriller, this movie feels like the development of the Hitchcock-Herrmann style is going on as the movie unfolds before you. Beautiful. 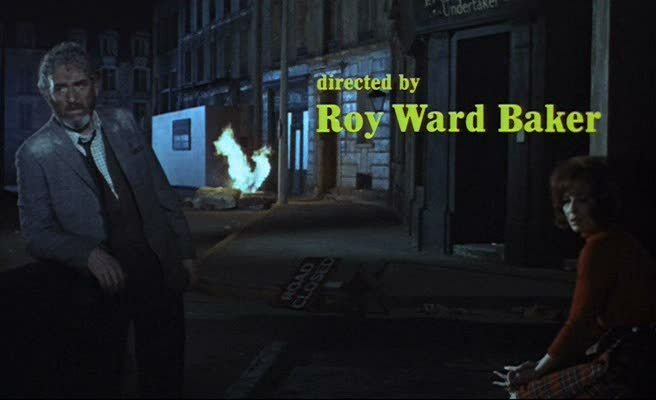 I love the deserted London streets, and the eerie POV/reaction sequence as Jimmy Stewart navigates the mean alleys of Camden Town and I love the inappropriate but welcome comedy relief of the taxidermists. Many things to cherish here: the slow, pointless intrigue of the elder Ambrose Chappell giving way to the younger. The fact that all the staff are in their dotage. A camera move that circles a big cat, only to reveal it is minus a back end. The shot that posits an extremely menacing tiger head behind Ambrose Jnr, for comically exaggerated menace. The fact that Stewart’s garbled story about the late Louis Bernard seems to be giving poor Mr Chappell the impression that Stewart is a maniac who wants to have his deceased friend stuffed and mounted. And the slapstick fight with swordfish and tiger as adversaries. Plus the prefiguring of PSYCHO. More deserted streets outside the real Ambrose Chapel, in darkest Bayswater, scene of a wonderfully scary approach and look to camera by the often-alarming Brenda DeBanzie. Some tricky coming and going manages to separate Stewart and Day, although it’s a little surprising how little in the way of set-piece drama is created (but the suspense never lets up, and unlike in the first version of this story, Hitch and Hayes keep the McKennas separated from their son right till the end). 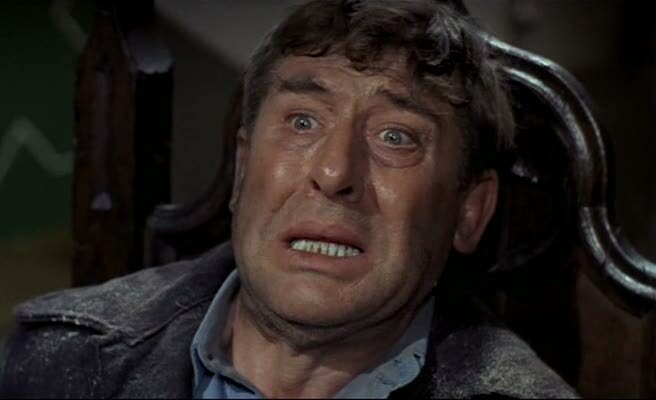 Surprising that Stewart has to break out of the church by shimmying up the bell-rope to the belfry, anticipating VERTIGO, when he could just have smashed a window on the ground floor. The Albert Hall assassination attempt manages to top even the matching scene in the original film, via dazzling shots like the one showing the shadow of the conductor’s baton (Herrmann in Hitch-style cameo) touching the top of each note in the score, and the amazing perspective along Nalder’s gun. This is the first musical motif to reach a climax, with the cymbal clash as signal for the hitman (also dig the percussionist’s POV shot looking between his cymbals! ), and it’s quite quickly followed by the second, whereby Doris Day’s call-and-answer rendition of Que Sera Sera enables her to locate her son in the foreign embassy. (Which foreign embassy? While the thirties version kept its conspiring nation nameless, it clearly resonates with the pre-war tensions of the day; the remake shuns all reference to the Cold War and studiously avoids political meaning of any kind). Surprisingly, the sinister ringleader, Miles’s boss, is never detected, despite being the mastermind of the whole scheme, and surprisingly we don’t care. As little Chris Olsen is reunited with his folks, Hitchcock, impatient with sentimentality, dissolves to our last shot, the aforementioned beautiful pay-off, so smart and unexpected and deftly delivered and hilarious that it reconfigures everything we’ve just seen as a splendid joke by the Master.